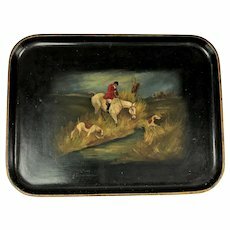 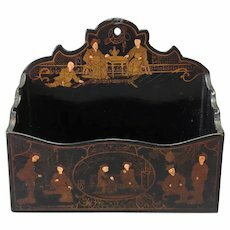 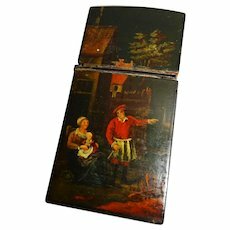 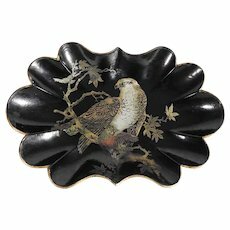 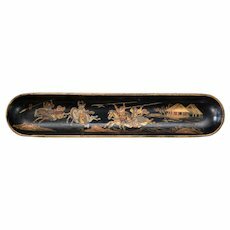 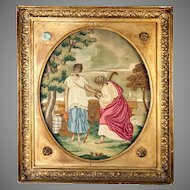 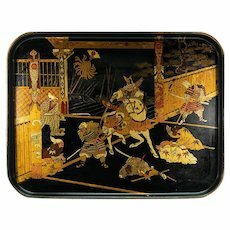 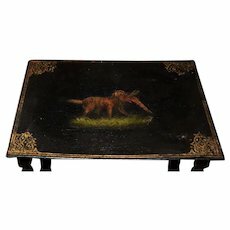 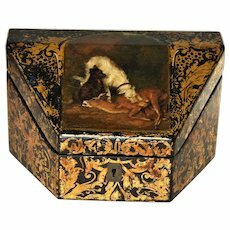 Chinoiserie Papier Mache Letter Holder 7 3/4"
Antique Paper Mache Lacquered Tray with Hunting Scene Circa 1890. 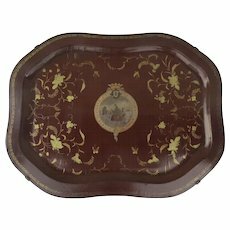 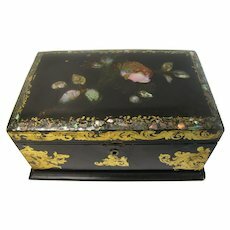 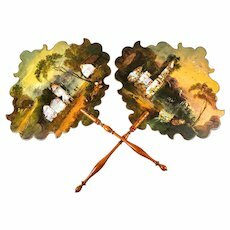 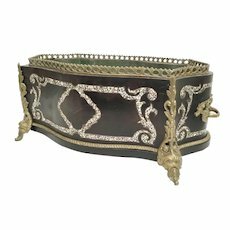 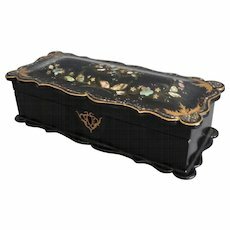 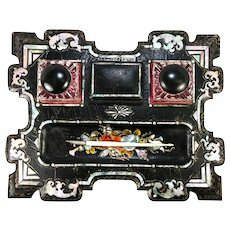 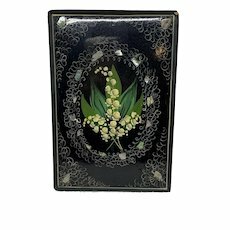 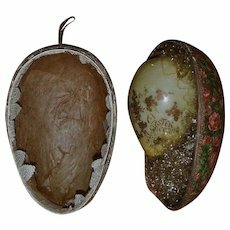 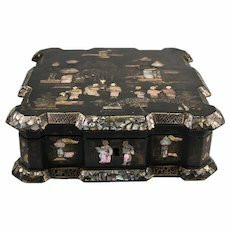 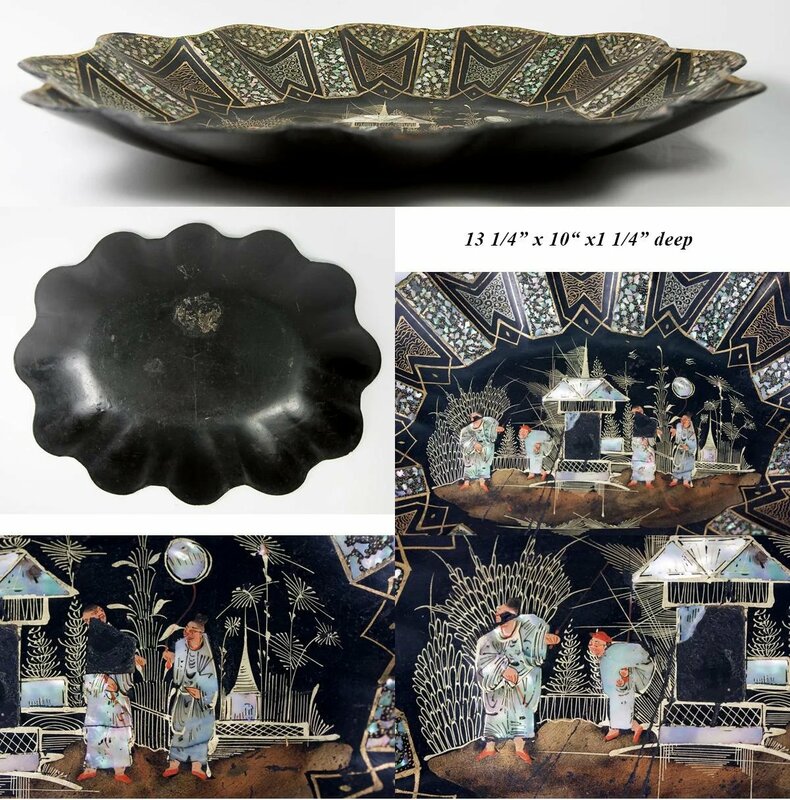 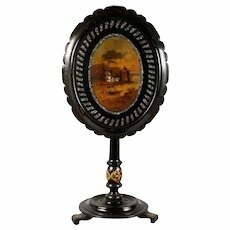 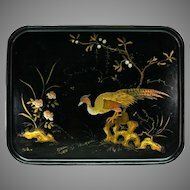 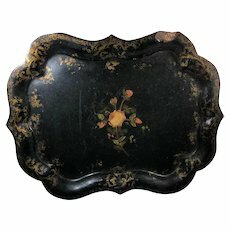 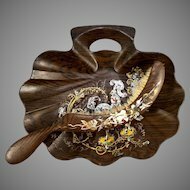 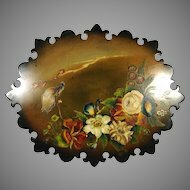 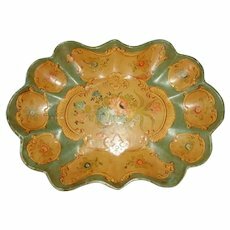 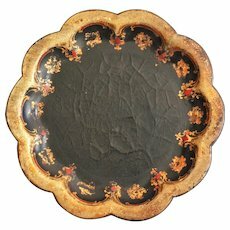 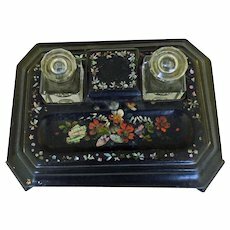 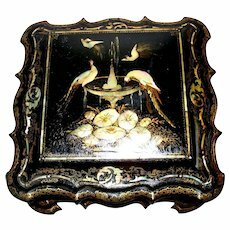 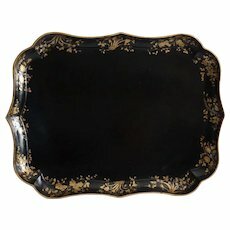 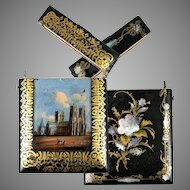 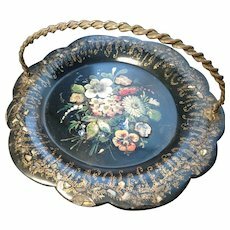 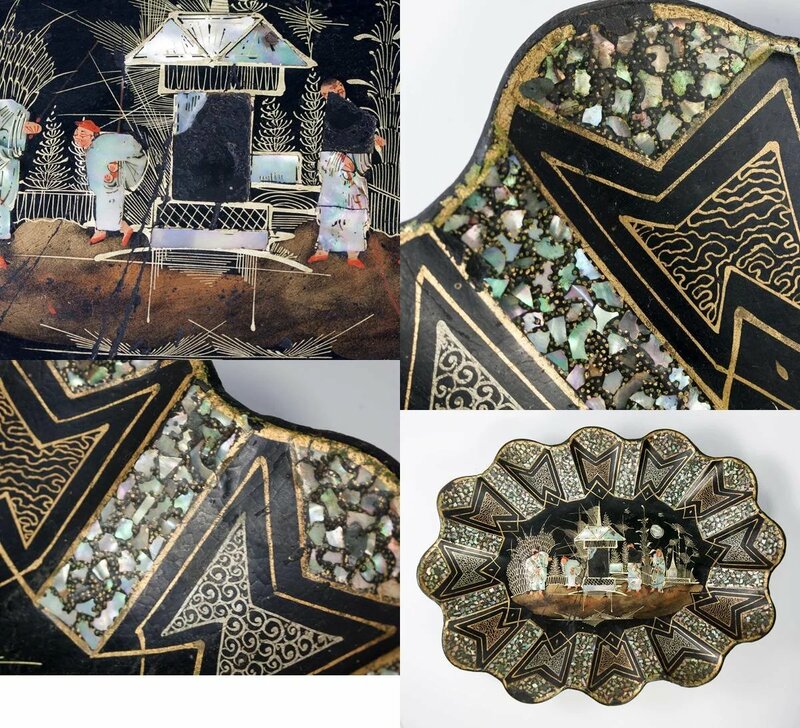 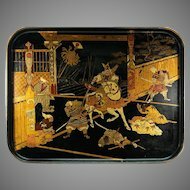 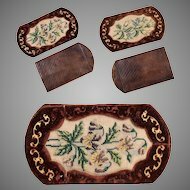 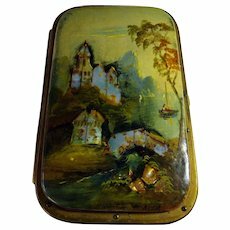 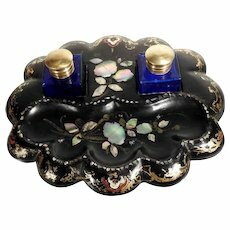 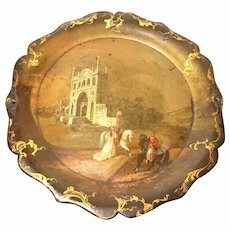 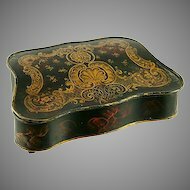 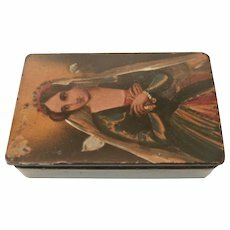 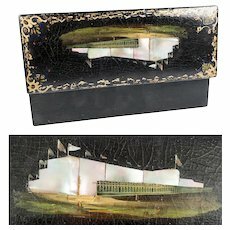 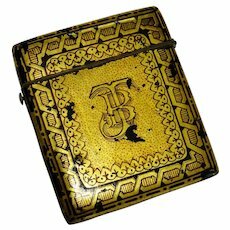 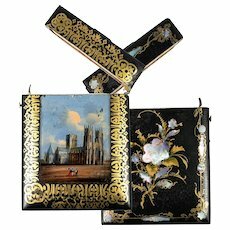 19th Century Papier Mache Snuff Box..
A superb Napoleon III era French papier mache centerpiece tray or bowl, made in the Chinoiserie manner popular in that time (c. 1850-70). 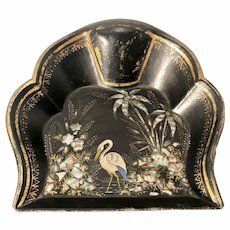 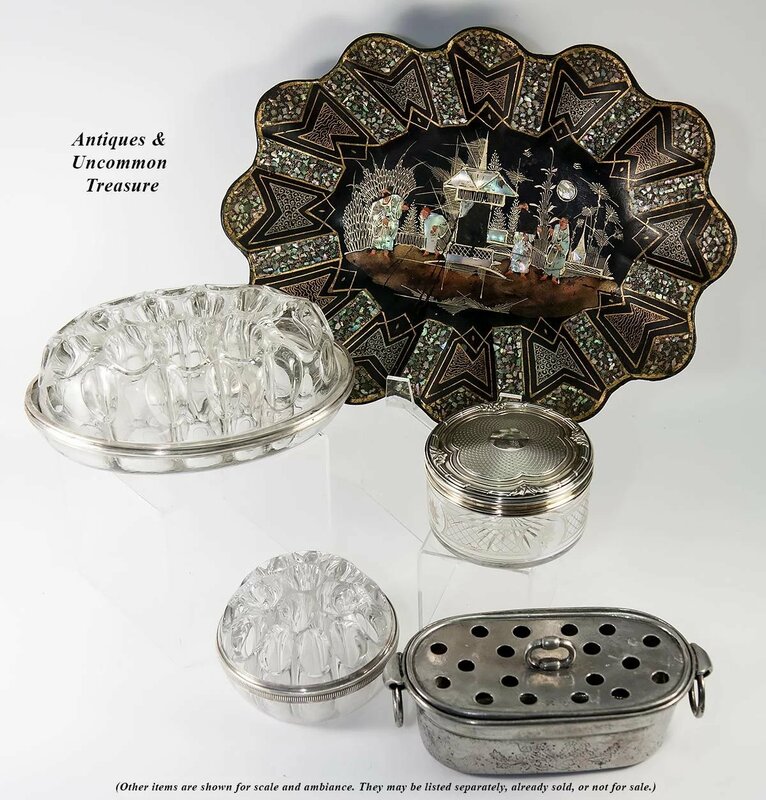 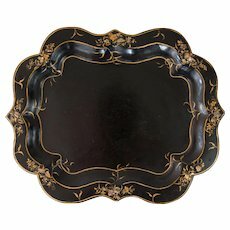 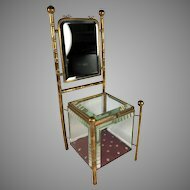 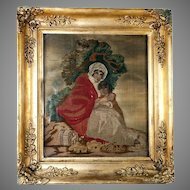 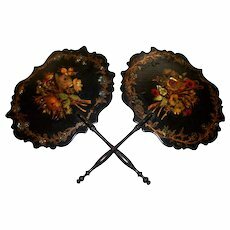 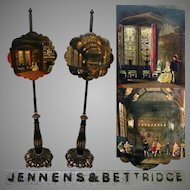 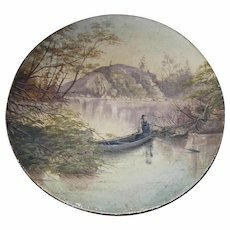 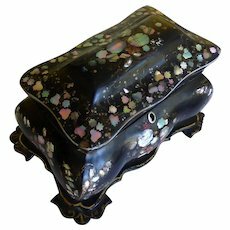 The aesthetic of Asia, a resurgence of the old French Empire thrill of exotic themed decorative pieces under the leadership of the Empress Eugenie, wife of Napoleon III (Louis-Napoleon, nephew of Napoleon Bonaparte, and France's last Emperor). 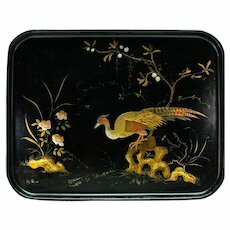 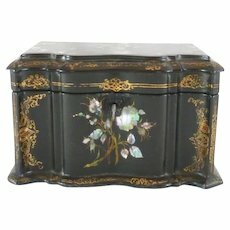 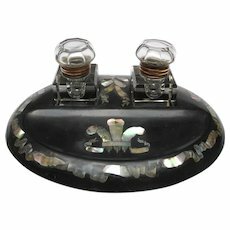 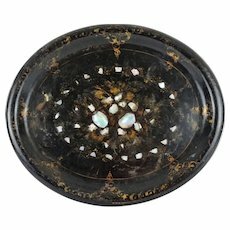 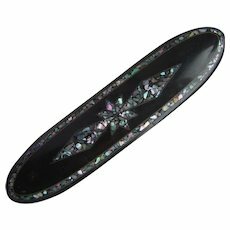 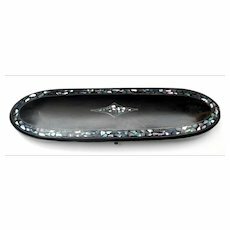 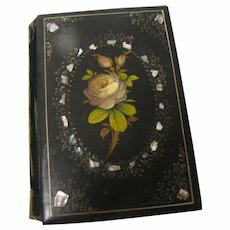 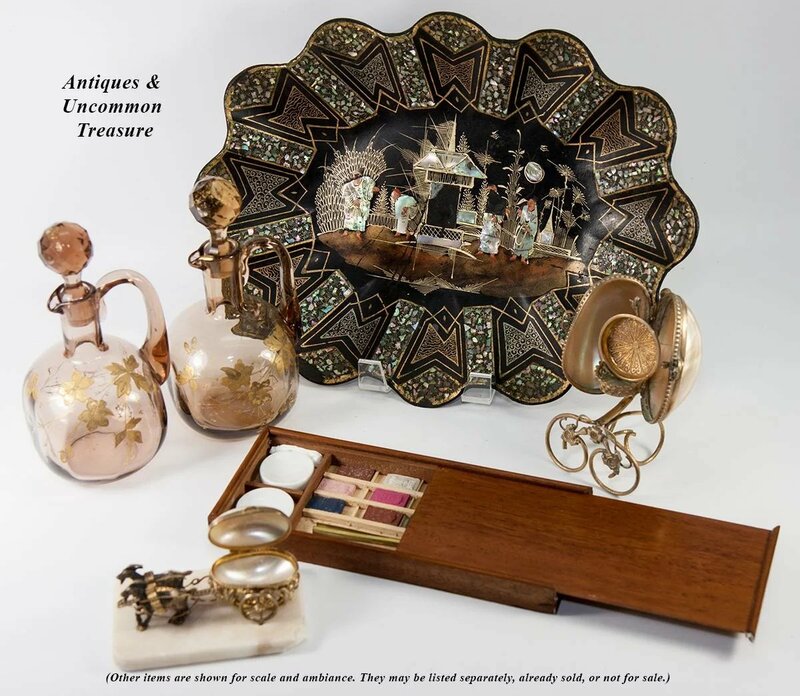 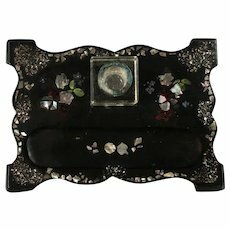 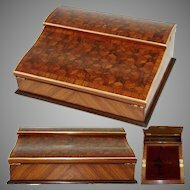 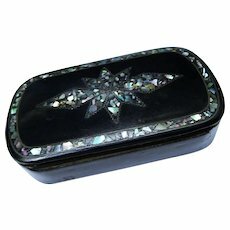 The tray is inlaid with copious amount of mother of pearl and abalone shell, so it shimmers with light and color. 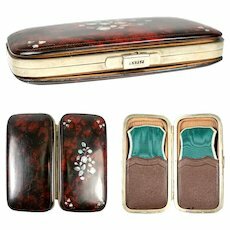 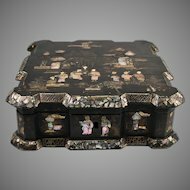 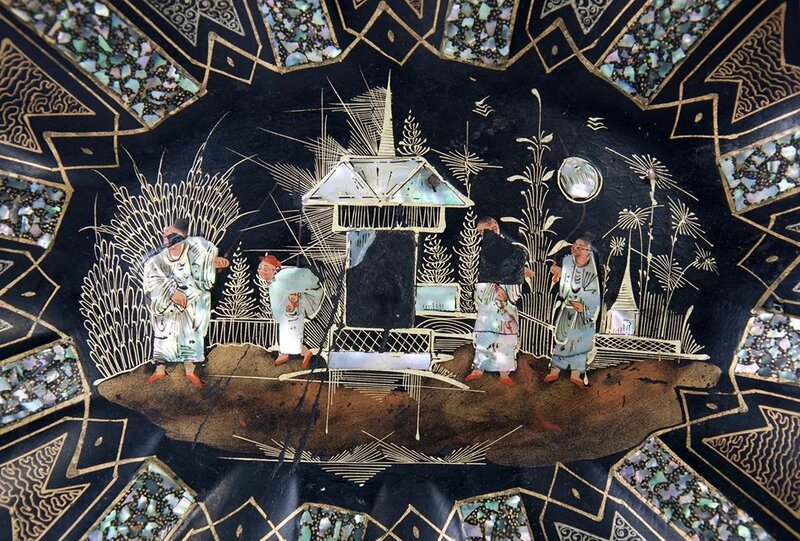 The bodies of the figures set into an oriental scene are also inlays of mother of pearl. 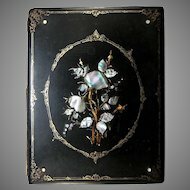 A thrill to see! 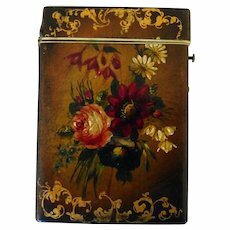 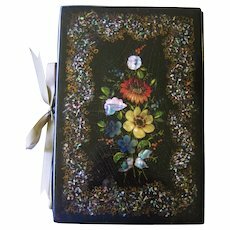 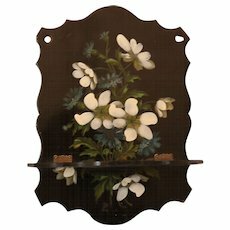 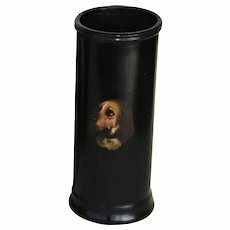 Whether as a centerpiece, or hung on a wall, displayed in your vitrine, this one is brilliant, a real show-stopper! 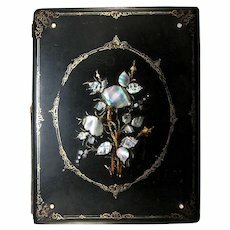 Very good to excellent but with a very small amount of pearl missing. 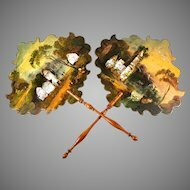 Have shown in enlarged detail the coulee of small flaws we can locate. 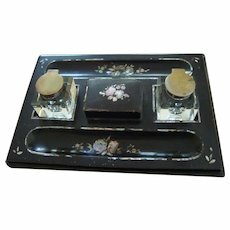 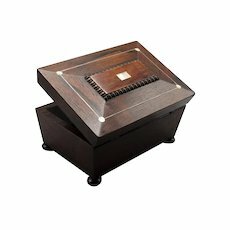 And also the tray itself for your review. 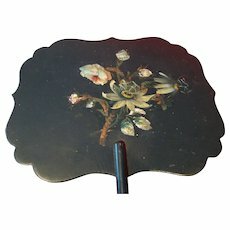 Just a lovely old thing. 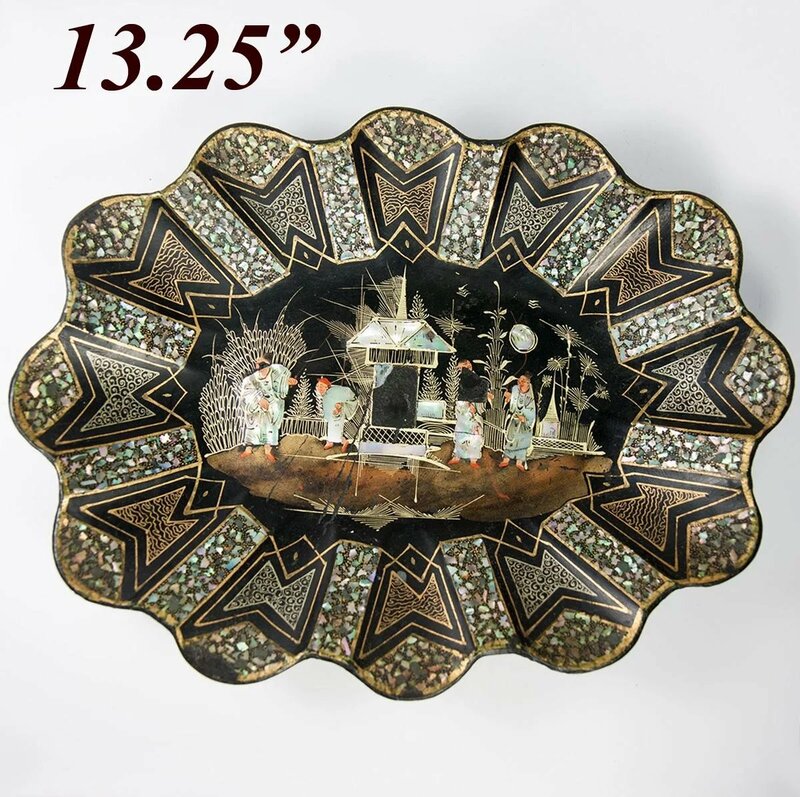 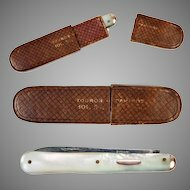 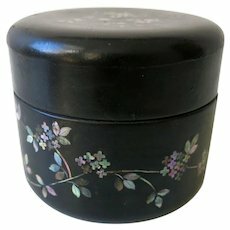 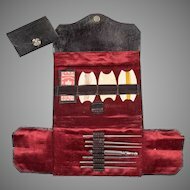 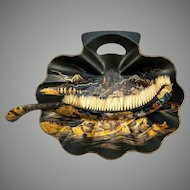 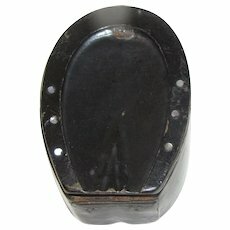 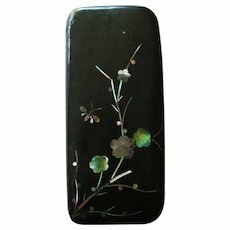 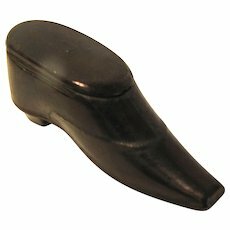 It is 13.25" long, 10" wide and 1.25" in depth, bowl or tray.